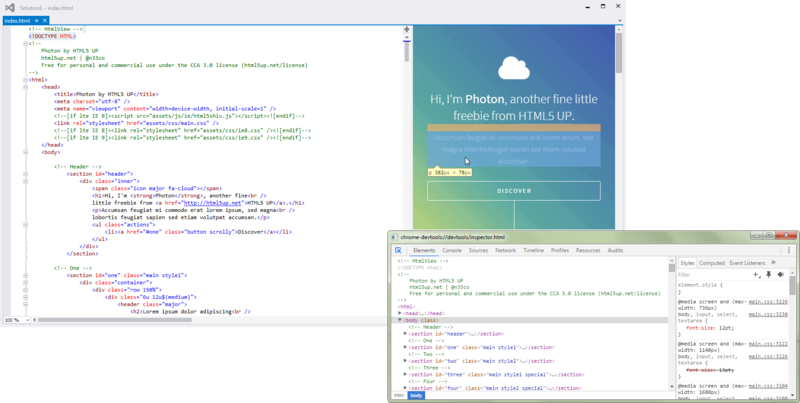 Provides the HTML editor an area where it shows a preview of your HTML page. Essentially it is a Chrome based browser inside Visual Studio showing your HTML page. Provides to the HTML editor an area where it shows a preview of your HTML page. Essentially it is a Chrome based browser inside Visual Studio showing your HTML page.